Lindsey Vonn will compete in this week's world championships in St. Moritz, Switzerland, but not without challenges that include nerve damage in her hand. 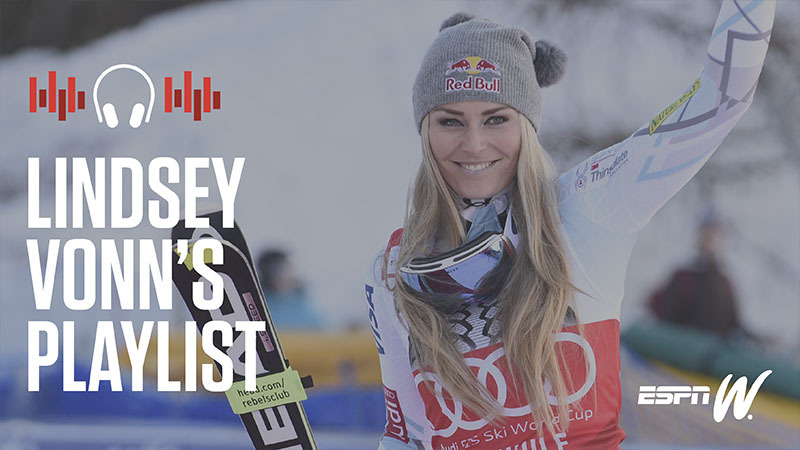 Just because Lindsey Vonn is fearless on the race course doesn't mean she's never afraid. There are rare moments when the world's winningest female skier is gripped by fear. Waking up from her latest surgery was one such occasion. Vonn broke her right arm in a training crash in November, and while she knew it was bad, she was shocked that after surgery she had no function in her right hand. "I had no idea that that was even a possibility," she says. "I was definitely in a lot of pain and pretty out of it before surgery. When I woke up, I had no idea I wouldn't be able to move my hand at all." Vonn, 32, spent one day after another -- hours at a time -- rehabbing her arm and hand. In a career that's already had its share of injuries, she was now sidelined once again from racing. Depression threatened to seep in, but she battled against it by focusing her energy on getting strong and finding things to bring her solace while exiled from the slopes. "It was hard being in Colorado in all the snow, seeing the World Cups on TV," she says. "It was really difficult not being there. I just focused on my hand, my rehab. I spent time in L.A. with my sister and boyfriend. I tried to focus on getting my hand better, staying in the present and taking one day at a time." Vonn recently posted video footage of her rehab on Facebook. At the beginning, she cannot even wiggle the fingers on her right hand. She slowly progresses to being able to place plastic cups in a line, albeit with a trembling hand. Even now, her fingers still curl limply when she attempts a thumbs up. "It's more like a half thumbs up ... like I'm happy but not that happy," she jokes. Vonn says that of her litany of major injuries, the broken arm was the most painful -- more painful than tearing ligaments in her right knee during the 2013 world championships, re-tearing them several months later or fracturing her left knee last season. And her first few trips back down the race course have not been easy. She still has serious nerve damage in her right hand, which makes even the simplest daily movements extremely difficult, not to mention gripping a pole and pushing out of the start gate, a motion that Vonn has strategized and personalized her entire racing career. Vonn has always had a superstitious dance of tapping and shuffling each pole before launching out of the gate -- but she has had to drastically modify this since staging her comeback last month. "I do that thing with my poles in the start, that thing with my straps, but my hand wasn't responding. It's trial and error, trying to figure out a new routine, not being able to twiddle with my poles in the start gate or weird simple things like texting with my left hand," she says. "I need help putting on my suit, taking off my ski pants, learning how to function with my hand the way it is," she says. In spite of the difficulties, Vonn has already managed to surge back to the top of the podium. After a 13th place in her first downhill race back from injury on Jan. 15 following just a handful of days back on snow, Vonn charged to victory the following week at a World Cup race in Garmisch-Partenkirchen, Germany. Overcome with emotion, she collapsed in tears in the finish area. 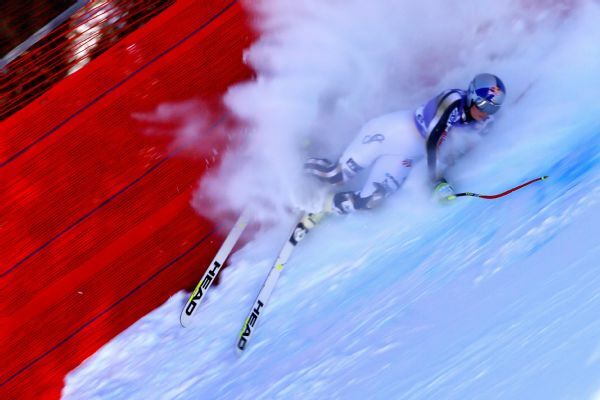 Lindsey Vonn avoided injury when she crashed twice (once in training, and again in a race) in Italy at the end of January. But her consistency has not yet realigned. Vonn followed up the victory with ninth place in a super-G race and then a crash on one of her favorite downhill courses in Cortina d'Ampezzo, Italy, on Jan. 27. In that training run before the race, Vonn lost her footing around a curve in the middle of the technical course, hitting the fence hard but luckily not further damaging her arm. Still mentally unscathed as well, Vonn flew down the course the following day, but slid out on the same curve and crashed again. Sore but not seriously injured, she once again walked away and went on to finish 12th in the following day's super-G, her final race before entering the 2017 FIS Alpine World Ski Championships in St. Moritz, Switzerland, this week. Building up to worlds, Vonn's off-the-hill time has been dedicated largely to rehabbing her hand. She laughs as she describes the exercises, which involve playing with baby toys, moving beads from line to line and working to control her dexterity -- something that becomes especially challenging on cold days, when the nerves are more inclined to numbness. "I have to do therapy every day and keep it warm when I'm skiing. I got one of those heated socks to go over it," she says. "So far it hasn't been that cold. If it becomes a problem, I might consider taping my pole to my hand. That's definitely an option." In spite of her time and effort, Vonn's hand may never be the same. "Nobody can tell me if and when it will heal," she says. "It could be a week, a month, a year, two years ... or never. But I'll figure it out." "Whatever it is, I can handle it. I'm back. That's what makes me happy. I'm back, and I'll take whatever the universe has for me."